Google announced they are making changes to the AdSense to the process they use to suspend and ban publishers, as well as the appeal process. (1) Google will look at the age and tenure of the publisher and may only suspend instead of terminate the publisher while working with that publisher to fix the issue. (2) A new and more detailed appeals form was created to make the appeal process easier. (3) Google will provide more transparency with more details on invalid activity's causes via email and the AdSense console. 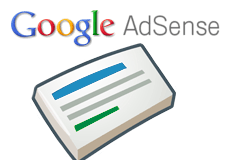 (4) They expanded their AdSense Academy. It seems as if publishers are optimistic of these changes.